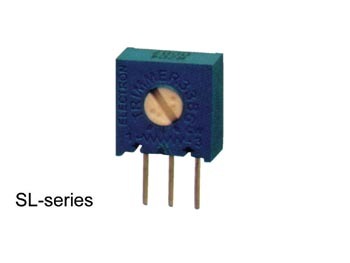 10mm square single-turn trim potentiometers. The cermet teknologi ensures stability og reliability. 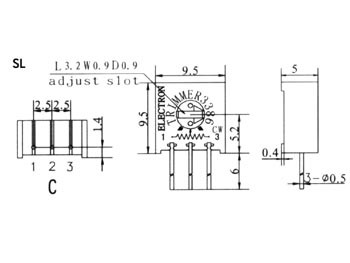 These PCB-mounted trimmers are available in different versions, requiring the user til adjust the trimmer either from the top eller from the side. All components are sealed til withstand PCB washing solvents.